I got home and inserted my memory card from my old camera. The screen read “Memory Card Locked”. Oh, crap. That’s the message that popped up on my old camera! That wasn’t the issue, though. I had this problem a long time ago on my old camera, and I Googled it and found out that there is a switch on the memory card that you have to push the opposite direction to unlock it. When the message popped up the second time on my old camera, I had forgotten that the switch was on the actual memory card, and instead, flipped some tiny switched that was on my camera, which then fell off. Well, as soon as I saw the message on my new camera, all the previous Google-knowledge I obtained months ago came flooding back, and I remembered what the problem was. 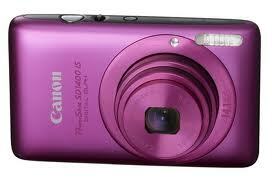 I flipped the switch on the memory card, stuck it back in my old camera…and what do ya know? Back to normal. So, now, I have two perfectly functioning Canon PowerShots sitting in front of me. However, one is older and is not a beautiful shade of pink. I guess I have a decision to make! Anyways, let’s move on to dinner. 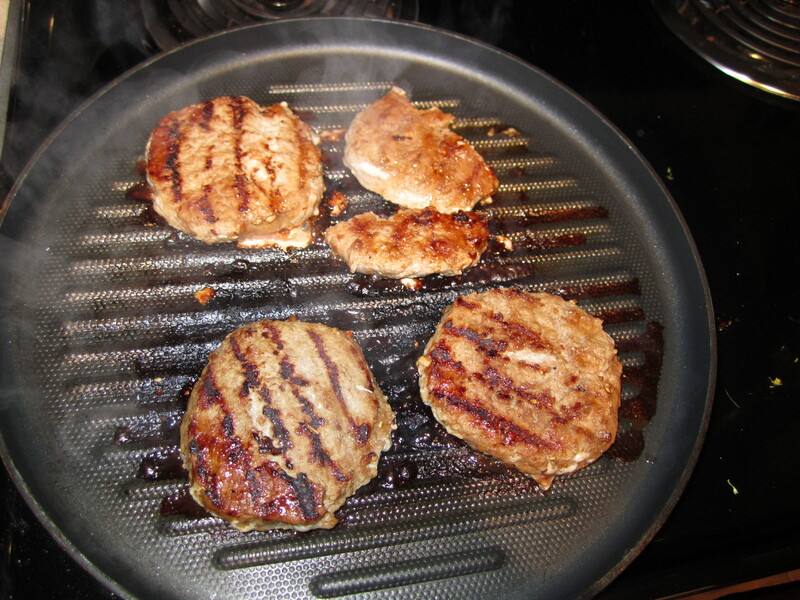 I have never been a big fan of ground turkey meat, but, once I started eating healthier, I developed a taste for it. Even so, I have still never been a fan of turkey burgers. Corey and I were out of dinner ideas when we shopped last weekend, so we just picked up a package of pre-formed turkey burgers and decided to save them for later in the week when we were feeling less-than-motivated to cook up a big dinner. That would be tonight. Turkey meat is very lean, and pretty bland, as well. You really have to give it some flavor unless you want to bore your tastebuds to death. 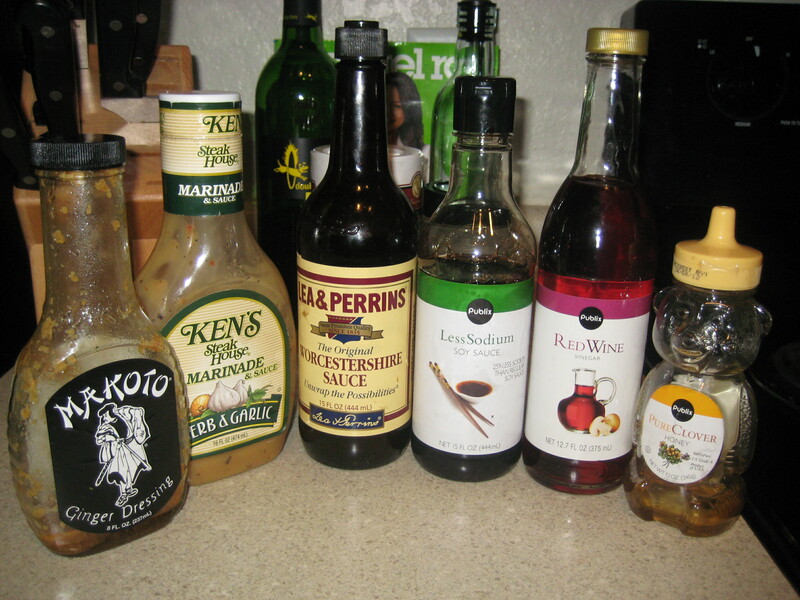 I decided to make a marinade for our burgers. I don’t think marinating burgers is really a normal thing to do, but I gave it a try anyway. 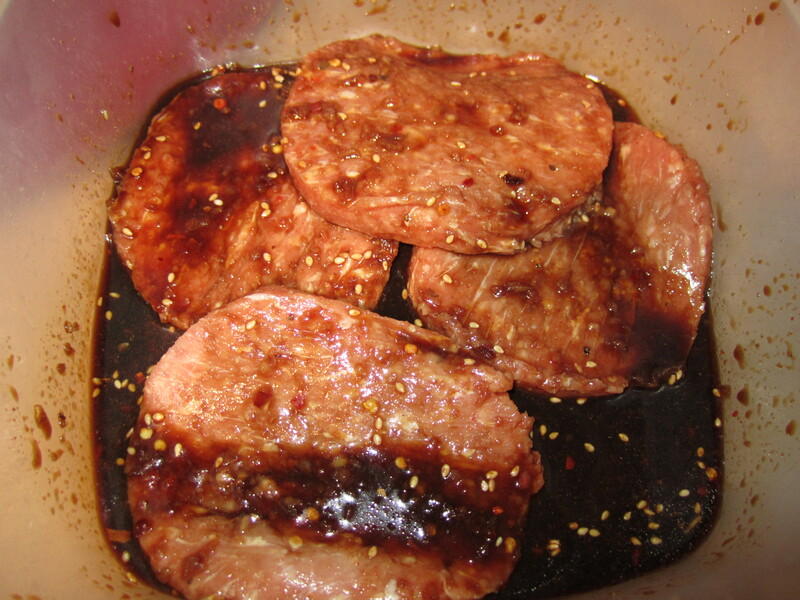 I went with an Asian-flavored marinade, covered the burgers, and refrigerated them for 30 minutes. 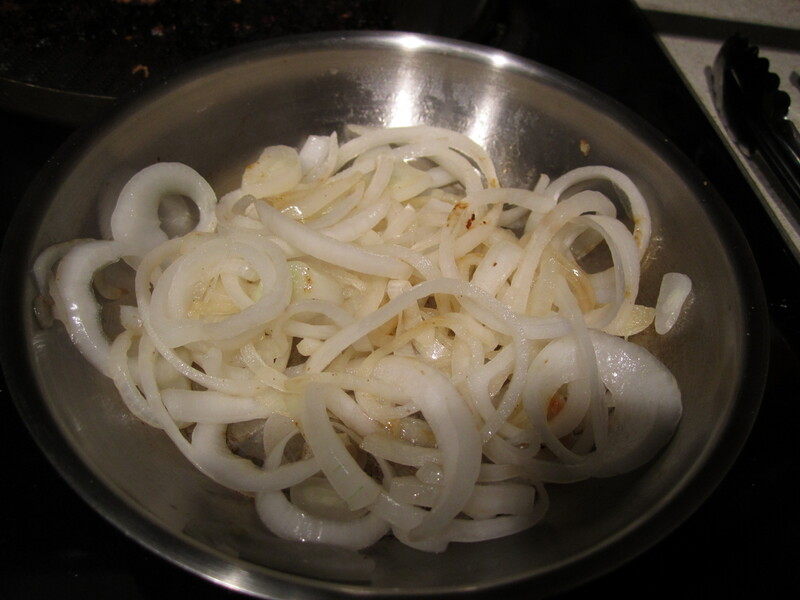 After grilling them on an indoor grill pan, I sliced an onion and caramelized it in a saute pan. I topped the burgers with the onions and served them on Nature’s Own 100% Whole Wheat Sandwich Rounds with a side of roasted broccoli. The burgers turned out perfectly. Great flavor, and the grill pan gave them a nice crust on the outside. Crunchy, delicious, and healthy! After forming patties, place in a container that has a lid. In a bowl, mix together the above ingredients after “ground turkey”. Pour marinade over the patties, cover, and refrigerate for at least 30 minutes. 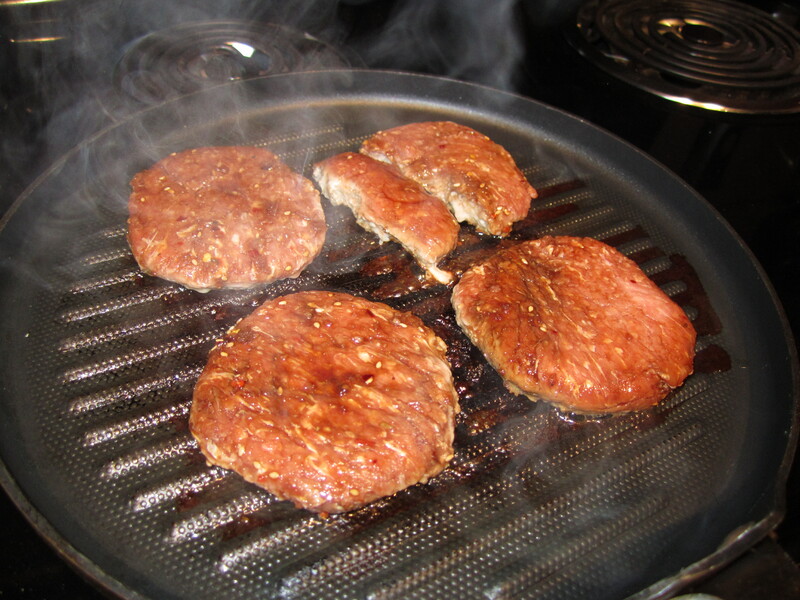 After marinating, heat grill or grill pan, spray with nonstick spray (for grill pan), and cook burgers about 5 minutes on each side, or until no longer pink in the middle. 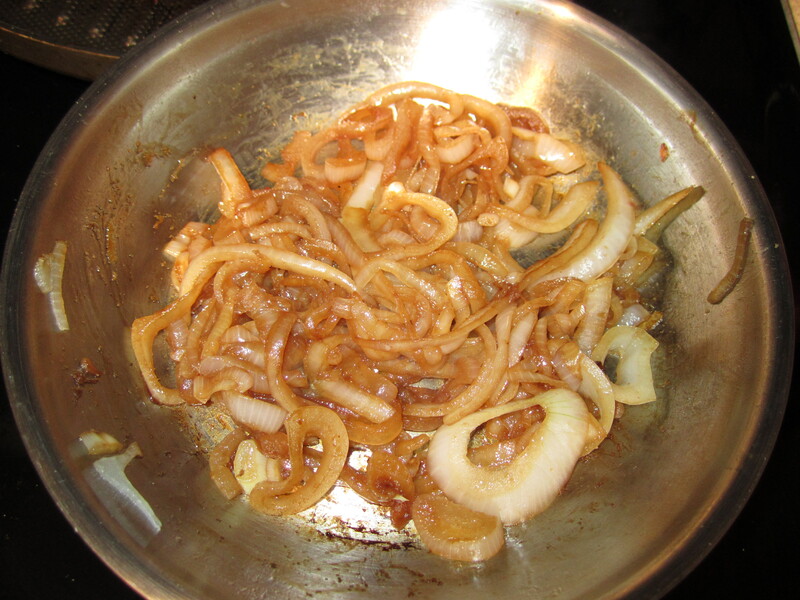 In a saute pan, spray with nonstick spray and add the onions. 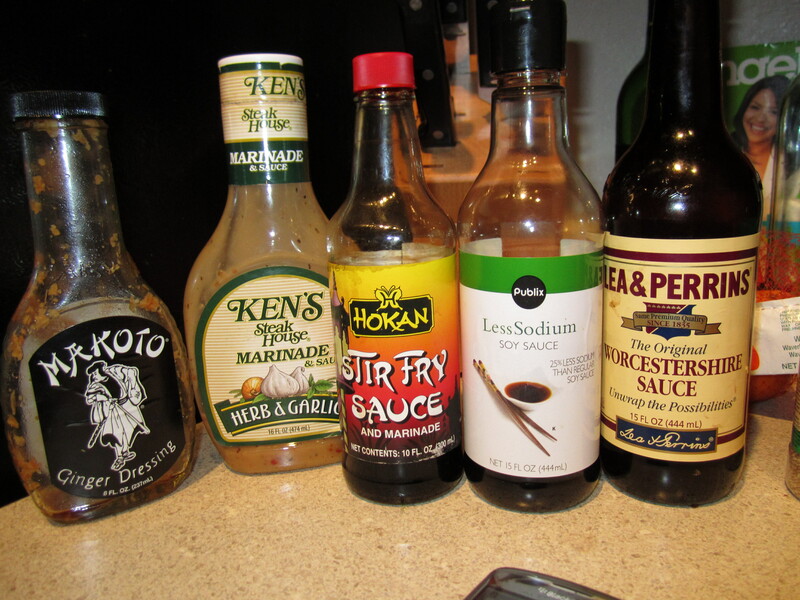 Cook for about 5 minutes, add soy sauce, and then cook for another 5-10 minutes, or until caramelized. 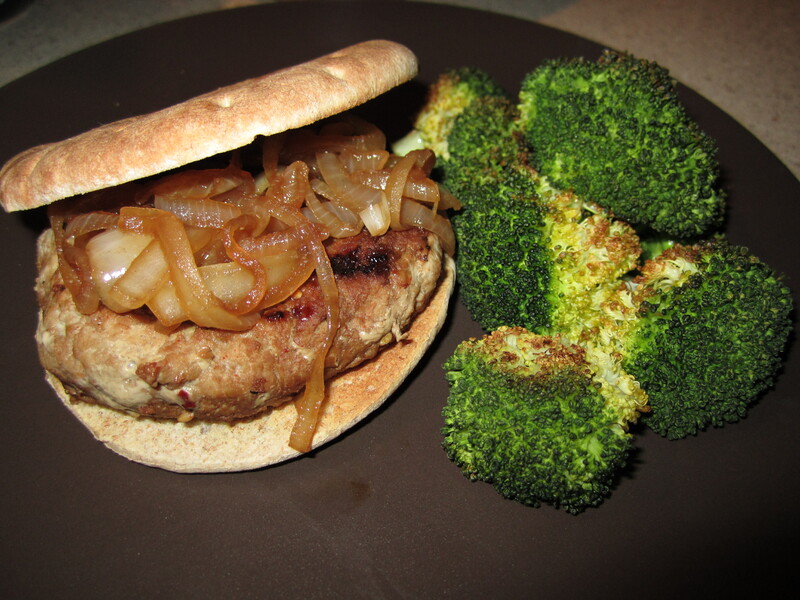 Top burgers with the onions and serve on whole wheat buns. There are so many salmon-haters in the world, but I’m confident this recipe could change their minds! I got the inspiration for this one from Corey’s parents- they bought a HUGE piece of a salmon and gave us a portion, along with a variety of fresh vegetables. 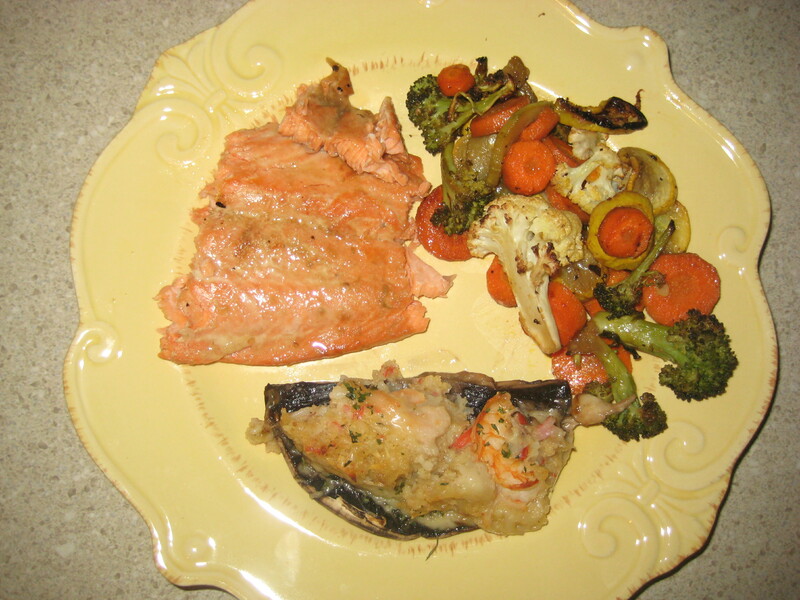 They told us that they made an asian-flavored marinade for the salmon, put it on the grill with the vegetables, and had a delicious feast! I decided to try a similar approach with our dinner tonight. On a side note, we had a special addition to our meal, thanks to Corey’s trip to Costco today. He brought home two huge portobella mushrooms filled with cheese, crabmeat stuffing and topped with 2 shrimp! It was seriously awesome. My dad is gonna have to give this one a try for my salmon-loathing mom this week! Whisk all ingredients together in a bowl, then place the salmon filets in a small baking dish or loaf pan and pour marinade over top. 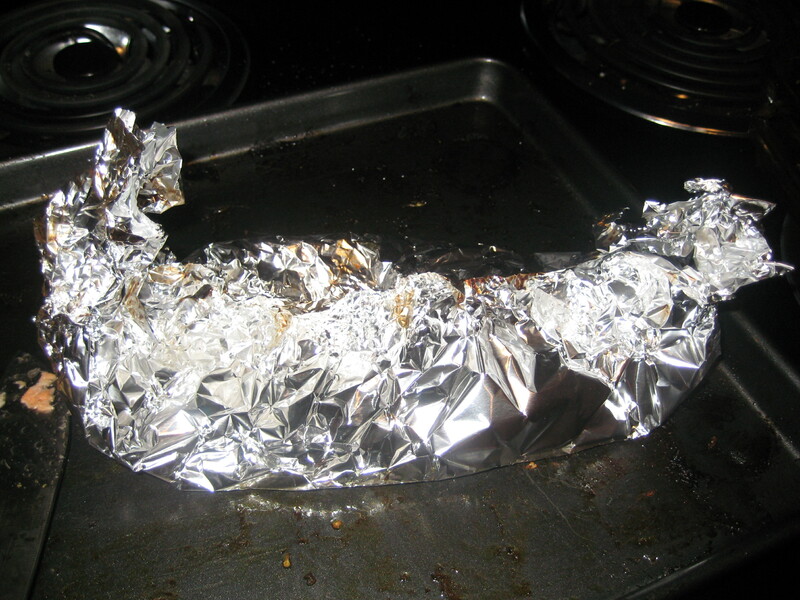 Cover will tinfoil and place in the fridge for anywhere from 30 minutes to 2 hours. Preheat oven to 425 degrees (to roast the vegetables first, see below). When the veggies are roasted, turn heat down to 375 degrees. 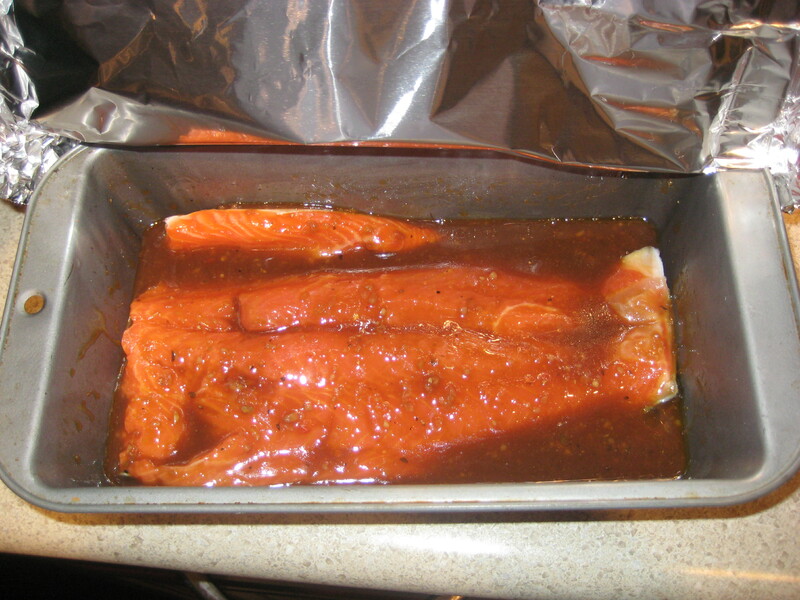 Take the salmon out of the fridge and place the filet in the middle of a large piece of tinfoil. Make a little “salmon purse”, folding the sides together in the middle, and creating two handles at the top. Be sure it is completely sealed. Place in the oven and bake for about 20-30 minutes, depending on the thickness. You will know it is done when it turns a light pink color and flakes with a fork. Remove from pouch. 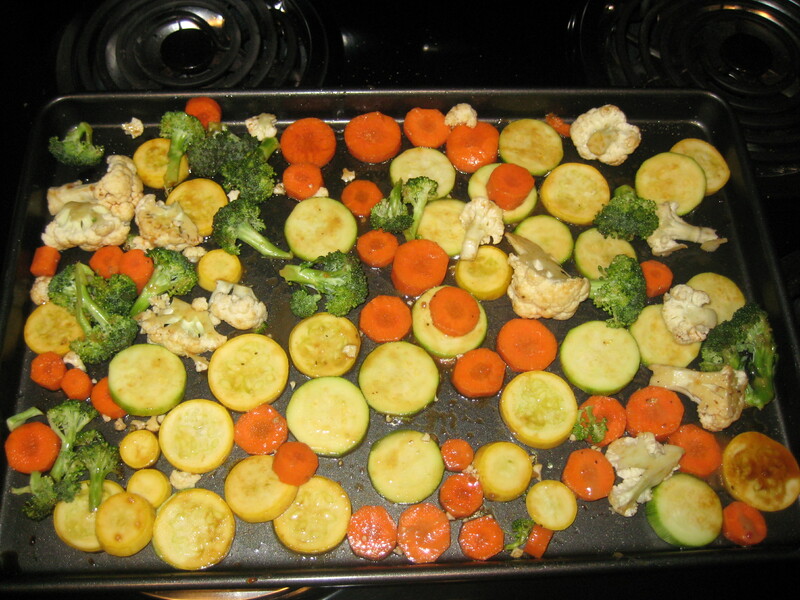 After slicing vegetables, lay them in an even layer on a cookie sheet. Pour the EVOO, soy sauce and marinade over the veggies. Sprinkle salt, pepper and garlic powder over top. Use your hands to mix everything together, coating the veggies in the mixture. Roast in the oven at 425 for 25 minutes, using a spatula halfway through roasting to flip them.